The Upstate Golf Club is an affiliate member club of the South Carolina Golf Association. Because the SCGA's handicap system is a calender year membership, our memberships will be effective from January to January. Once approved, your becoming a member of the Upstate Golf Club also means you would become a member of the prestigious South Carolina Golf Association, and the Carolinas Golf Association. You receive, just for the asking, your own official United States Golf Association handicap card. This opens the door to dozens and dozens of tournaments in South Carolina, North Carolina, and even across the country. From golf at amateur’s highest level, to dozens of One Day events in South Carolina, being a SCGA member is your ticket to all of these events and more. You will be able to post your scores from the Upstate Golf Club website links straight to your own handicap page in the SCGA’s system. If you do not have internet access, you can either mail in your scorecards, or simply drop them off at Eagle Zone or Nevada Bob's Golf. Having a valid handicap through the SCGA is a great way to track real improvement in your game, and for other clubs and people to verify your handicap for tournaments and out of town golf functions. They can simply check your handicap online, or call the Upstate Golf Club staff! Your Upstate Golf Club membership dues of $75 for 2004 includes, as an introductory offer, the fee for your SCGA membership, including handicap card! Tournaments, tournaments, and more tournaments! Being an Upstate Golf Club member literally opens the door to more tournaments than anyone can play! From our own events, which will include a Club Championship event later this year, a Member-Member/Guest, the Upstate Am Par 3, the Upstate Mid-Am/Senior event in August, and the Piedmont Classic Team Championship, a two man team tournament each spring. There will also be some one day dogfight/scramble events mixed in as well. In addition, the SCGA membership gets you access to all the SCGA and CGA major championships, as well as the SCGA's One Day events. In 2002, the SCGA held 89 One Day events. EIGHTY-NINE!! Click here to go to the SCGA's tournament page. If this isn't enough, there are USGA national events that the SCGA membership qualifies you for, as well as the convenience of the official handicap card to verify you into many local and out of town events that ask for or require a handicap. More competition makes for a better player, and with the Upstate Golf Club, we've got your ticket to competition!! From time to time, approximately once per month, we will negotiate a special rate and place for our members to go and simply play golf together! 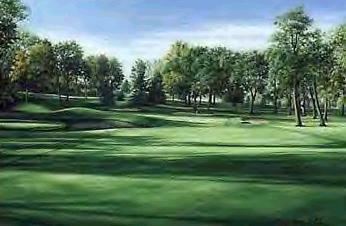 The course and date will posted on the web site, along with the number of available tee times. If you want to play, simply send us an email or call to reserve your spot. We will have some sort of skins game or fun competition for anyone who wishes to participate that won't interfere with their round. You will also be able to request parings with your friends. Members will also be allowed guests, but not at the special rate. But, getting them to join will earn the special rate, plus earn the member new member referral points, good towards gifts and even next year's membership! Play Days will also be an excellent way for members to meet and get to know other golfers, and build great relationships around the Upstate. The Upstate Golf Club has negotiated discounts off regular green fee prices at six area clubs. As our membership grows and expands, we will be adding more courses in the future. The discount may vary slightly from course to course, but the discount is an average of 15-25% off regular green fee. Some courses require a cart rental. The participating courses as of May 1 are Carolina Springs Country Club, Crosswinds Golf Course, Furman University Golf Course, Greer Golf & Country Club, River Falls Country Club, and Southern Oaks Golf Club. Just one round a month at any of these great golf courses, along with your SCGA handicap card will more than pay for your $75 annual membership fee!! The Upstate Golf Club and Eagle Zone's team of the Upstate's best teaching professionals have teamed up to offer you the very best in golf instruction. Conveniently located on Pelham Rd. near I-85, they have a complete staff of teaching pros with all the latest in video technology and more. With a natural grass, artificial mats, covered hitting areas, and a state of the art short game area, they can help you get your game to your highest potential.....ALL AT SPECIAL Upstate Golf Club Member discounts!! In addition to Eagle Zone, Southern Oaks Wayne Myers, host of WCCP FM 104.9's Saturday morning radio show, "In the Rough With Papa Puff", has also joined the Upstate Golf Club teaching professional staff. Simply call or stop by Eagle Zone or Southern Oaks to get the details and schedule a lesson package, again, at a quality Upstate Golf Club member discount! Your membership in the Upstate Golf Club will get you free range balls. After all, the more you practice, the better you play! Eagle Zone will give you a free token for every four purchased. In other words, buy four, get one free! Eagle Zone as mentoined above has natural turf, artificial mats, covered areas for inclimate weather, a fully stocked pro shop with all the latest equipment at great prices, and a first class short game practice area. From time to time, Eagle Zone will offer special Upstate Golf Club member prices on selected merchandise. These will be posted on our web site. Eagle Zone also has lights for night time practice as well! Just a few regular trips to work on your game can more than pay for the membership dues!! If you are on the north side of Greer, Crim's Golf Center is offering a free small bucket with the purchase of a large bucket. Crim's Golf Center is located on Highway 290 north of Greer near the Greenville Tech Greer Campus, with pro shop, club repair shop, and grass and artificial hitting areas, open late each afternoon. So with these great practice facilities, there is no reason not to go hit lots of balls! Click the Eagle Zone logo to visit their web site! The Very Best in Golf Equipment, Apparel, and Merchandise at NEVADA BOB'S! The Upstate Golf Club has teamed up with NEVADA BOB'S, offering the best selection of golf supplies and services in the Upstate. NEVADA BOB'S does custom built clubs, pro-line clubs & accessories, club repair, unique golf gifts, computerized swing analysis, and more. NEVADA BOB'S is located in Greenville on Laurens Road right beside McAlister Square. Even more great reason to join the Upstate Golf Club? NEVADA BOB'S is offering a 10% discount on all regular priced merchandise in the store, excluding balls!! Just a small number of purchases will more than pay your $75 membership dues! Need a new shaft in your driver, your set of clubs re-gripped, the loft or lie adjusted on your irons or any specialized fine tuning or repair to your clubs, and do you want the very best people in the entire golf industry to do the work? Dave and Jeff at Mauldin's "The Broken Club" golf shop are trusted by great amatuer players to even PGA professionals to adjust and fix the tools of the golf business, your clubs! In addition to any type of club repair, they also offer custom club building in house, and can answer all your questions as to what you need to carry in your bag. They also offer a nice selection of new & seasoned merchandise in their shop on Butler Road in Mauldin. The Broken Club will give Upstate Golf Club members a 15% discount off club repairs, and a 10% discount off merchandise, excluding balls. Just present your membership card! Also, Crim's Golf Center on Highway 290 north of Greer near the Greenville Tech Greer Campus is offering members with 10% off club repair along with the driving range special offer listed above. Crim's is owned & operated by Leland Crim, with nearly 20 years of experience in club repair, and custom club building. His shop also includes a complete line of name brand clubs, bags, balls, and accesories. Golf Carts.....oh yes, Golf Carts! Your membership in the Upstate Golf Club will get you the "in" at Garrett's Discount Golf Cars on I-385 in Fountain Inn. Garrett's has long been the place to go for a great golf cart at a great price. Whether you want a cart for driving around the neighborhood, campground, church or business, yard work, or even for playing golf, Garrett's offers the best inventory selection in the Upstate, and can even build a custom cart for whatever is your desire. Garrett's, just for Upstate Golf Club members, will install a windshield to any golf cart purchase from Garrett's!! That's a $150 value for Upstate Golf Club members! They will also discount any additional accessories 10% for your cart. Lights, horn, extra seat, radio, work bed, etc. As you can see, this is a great member benefit from Garrett's Discount Golf Cars! Golfers Do Like to Eat at TEXAS ROADHOUSE! Texas Roadhouse is the "Official Restaurant of the Upstate Golf Club"! Golfers love to eat more than any other people, and where better to go after a round with your buddies or the family to Texas Roadhouse!! Located on Wade Hampton Blvd in Greenville, or in Anderson, Texas Roadhouse has great steaks, salads, soups, chicken, and more, with all the roasted peanuts you can eat! Texas Roadhouse is offering Upstate Golf Club members with 10% off all entres, any time! Just present your Upstate Golf Club membership card when checking out. What a great deal at a terrific place to eat for the entire family. You can even call ahead to get your name on the waiting list for shorter waits. Open for lunch & dinner, your Texas Roadhouse Upstate Golf Club exclusive discount of 10% also can pay for the price of your membership on just a trip or two a month of mouth watering delight! In addition, TCBY stores in the Greenville area will provide you with a coupon for a FREE TCBY Treat in your paid membership packet. Free! TCBY....the country's BEST yogurt! Texas Roadhouse Official Web site! Many More Retail Partners to Come! As time goes on and our membership grows, we will be adding other retail partners, in & out of the golf & golf related business. Your membership card will be able to provide you with great discounts from all kinds of great products. For example, the Greer Flooring Center, carriers of Mohawk Carpets, Armstrong Vinyls, Bruce Hardwoods, and their beautiful showroom, is offering $50 off to Upstate Golf Club Members for any purchase of $500 or more. Want new carpet or flooring for your home or office? Join the Upstate Golf Club, and go to Greer Flooring Center! There will be more....many more to come! Vacation Packages and Golf Desintations at Great Prices! Your Upstate Golf Club Membership also qualifies you to work with a local travel professional that we have teamed up with to offer you the finest desintations anywhere, whether it be golf at Myrtle Beach, Florida, Scotland, a tropical location, or even family vacations from the islands, snow skiing, or a fabulous cruise, you'll get hassle free packages that include accomodations, golf, theme parks, lift tickets, airfare, or whatever your hearts desire. Simply call and present your member number and describe where you want tp go, and let our team get to work, at a great Upstate Golf Club price! Want to have a memorable company outing, but don't have or want to commit the time to pull it all together? The Upstate Golf Club team will do it for you! With our contacts at great golf courses, we will reserve your times, line up the food & drinks, if you want a tournament, we'll organize it for you, and we'll even get the awards & prizes, tee gifts, range balls, make sure the event is scored, and do everything possible to make sure you have the greatest experience possible, and all you have to do is show up & play! Call us at 350-1708 for more details. We want our members to have the feel of a real golf club. In fact, we like to say..."we're a country club, just without a golf course of our own!" As our membership grows, we will have a Social Committee that will plan and organize get togethers for our members, whether that be a cookout, a Grrrowl game, a golf clinic with lunch, a night out at Crosswinds, or even a trip to a Braves game or a bus to Sugar Mountain, we want our members to have the experience of a club membership, and we plan on giving our members the chance to do just that. Again, as our membership grows, we will be forming all kinds of committees and we'll need your help & input as we make the Upstate Golf Club the best "club without a course" in the world! Membership Packet With All New Members! After we recieve your membership application and calender year dues of $75, we will send you several items. First, you'll get your membership card with your name & member number on it. Your member number for convenience will be your drivers license number for easy identification. You will also recieve a copy of the 2004 Rules of Golf by the United States Golf Association, along with an attractive Upstate Golf Club window decal for your car. You will also recieve a great looking Upstate Golf Club bag tag, completed with the Upstate Golf Club logo on the front. Within a few days, you will be able to go online to the web site, and get started posting scores and printing your handicap information right off the site. Country clubs charge anywhere from $15 to $30 or more for the handicap card, and this year we are including it for free! We are including the handicap and all this great stuff with the membership because this is our innaugural year, plus our membership is for a calender year. Since the handicap card from the SCGA will run for a calender year, that's the way we will do it too. Either way, you get a great value, and somme real cool stuff!! This web site will prove to be THE place to come for all of the news regarding the Upstate Golf Club. We will post tournaments, golf news, locally, regionally, and even links to news from the USGA & the PGA tour. We will have "Tip of the Month", from one of our great teaching pros from the Eagle Zone, Wayne Myers, Terry Johnson, or many more local professionals who can make your game it's best. We will post Play Day information, and we even have a Messgae Board, for you to talk golf, arrange a game, ask a question, or even by or sell clubs! There will be a complete local tournament schedule, with many applications available for download. Also, links to the SCGA, USGA, CGA, GolfOnline, the PGA web site, and just about any golf desination you could wish to visit. Our goal is to make this web site your first click to here, and from here, you'll be able to find it! www.UpstateGolfClub.com.......put it in your favorite places! Two or three times a year, just for our members who sponsor a new member, (there is a place on the new member application to list the referring member) we will have a special member/sponsor play day, where we negotiate a great rate for you, plus have free food amd prizes! This will be a great way to meet people, and have lunch & prizes on us. We appreciate new members! We have discussed the card above, but the Upstate Golf Club membership card truly will be your ticket to great discounts at great golf & golf related businesses, & more in the Upstate. Your membership card must be presented at time of use, and is not transferrable, and can only be used by & for you. One card will not get an entire foursome $5 off at Carolina Springs. It's yours & yours alone. Everyone has to have their own card! The card will have the Upstate Golf Club logo, and have the member's name address, and ID number, which is your drivers license number- for easy identification. The card will get you all the great tournaments, courses, lessons, practice, club repair, the best in golf merchandise, Texas Roadhouse, vacation packages, golf carts, and more. The Upstate Golf Club membership card, yours with the $75 paid membership application, can save you HUNDREDS of dollars per year, and get you in a great golf club! Join the Upstate Golf Club right now!! O.K. I'm in....how do I join?? 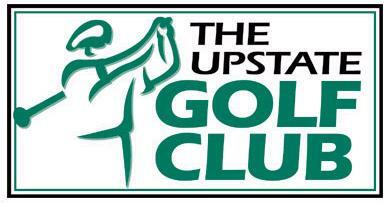 Simply click here: Join the Upstate Golf Club! and click the PayPal icon. Most major credit cards are accepted. You can also call (864) 350-1708 and have an application mailed to you if you do not have internet access to pay with a credit card. PayPal is a safe & easy way to join the Upstate Golf Club!